Driven by a desire to accelerate sustainable change, TheSustainableInvestor was originated on the following premise: profitability and impact need not be mutually exclusive. As such, business has massive power to alleviate environmental and social deficiencies. 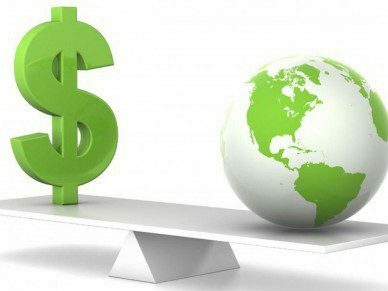 The objective of TheSustainableInvestor is to open dialogue, raise awareness, and call action from investors, consumers, and corporations. As sustainability drifts to the forefront of conversation, companies struggle to market sustainable efforts to a consumer not quite there. Concomitantly, lagging corporations remain narrowly focused on profits alone. TheSustainableInvestor observes company case studies to shine light on profitable companies successfully pursuing sustainable initiatives and question others that are missing costless opportunities. Despite varying degrees of impact, the allure of an investment policy with the potential to affect corporate and social change has been a recurring theme among a portion of socially-minded investors. TheSustainableInvestor examines academic theory both justifying and countering the incorporation of social and environmental factors into the investment process. Today, the debate is intensified by the growing risks of global warming, income inequality, and natural resource depletion. Consequently, TheSustainableInvestor discusses broader issues of climate change, resource depletion, and alternative energy. Bond vigilantes have become a credible force in the bond market by forcing rates higher in inflationary environments, prior to Federal Reserve action. In some circumstances, the bond vigilantes have been so successful that government action has not been required. The phrase “ESG Vigilante” refers to consumer/investor action that persuades companies to change practices without the role of a government mandate. Be the change you want to see.